There will be a Youth Retreat/Camp 2009 at 23rd to 25th December, 2009. The venue is at Serenity Sanctuary, Bentong, Pahang. The Camp Fee is only RM75.00 per person. The fee includes accommodation and all meals throughout the camp. Campers will be staying in an air-conditioned bunker-style-dormitory; ergo. To those who can't leave their parents behind, there will also be Leadership Retreat for adults. Same place, same time but only different activities. Transports will be provided to those who need them. Campers are to gather in church on the 23rd of December at 11am before departing. 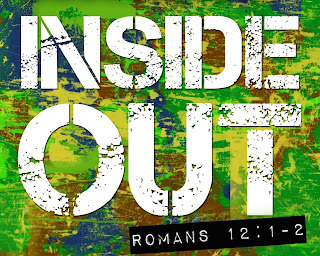 INSIDE OUT, the theme for this year's Youth Retreat/Camp! -Campers are to bring your sleeping bag or your own pillow case, blanket, and bed sheet. -Campers are to confirm the attendance before the closing date[15th December, 2009]. P.S There's 90% chances of me going to this camp. I hope all of you will join me and accept my invitation.